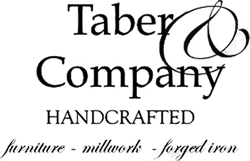 Rustic mediterranean style wood kitchen island and cabinetry, custom designed and handcrafted by Taber & Company. The kitchen island was built from reclaimed Arizona ash, a hardwood that has unique grain and pattern. Collaborating with interior designer Billi Springer and the homeowners to create a mediterranean style kitchen island and cabinetry that would look like an original antique and function for the modern day. 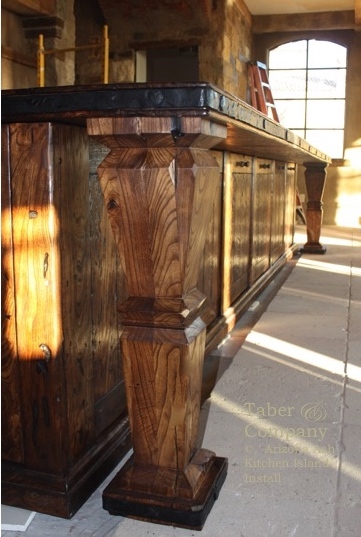 The kitchen island was built to tell a story, reclaimed Arizona Ash was selected for its rich character, golden tones with contrasting dark grains and handcrafted in the same tradition as Taber & Company furniture. Kitchen designer, Mary Fischer called out work stations, including a “Galley Sink” that is truly magnificent, it combines function and high style like no other. The top attaches to the solid base cabinets and the legs support the overhang allowing plenty of room for seating. Cabinet doors open to reveal deep storage on all sides of the island. The Desert Mountain Residence was built by R-Net Custom Homes. The 9″x 9″ solid wood legs support the massive 15′ 4″ Long x 5′ 6″ Wide island top. Using a reclaimed hardwood the wood island has an authentic antique style. A hand forged iron band surrounds the island top. 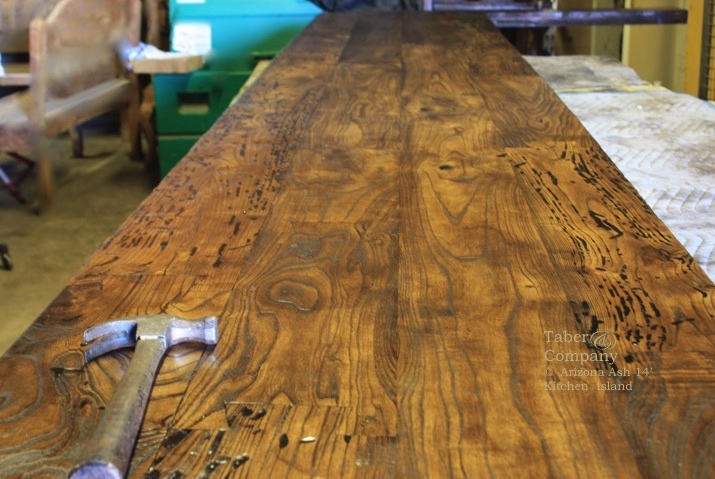 The wood countertop is over fifteen feet long, the planks were milled from the same Ash tree creating a stunning pattern of grain and imperfection. 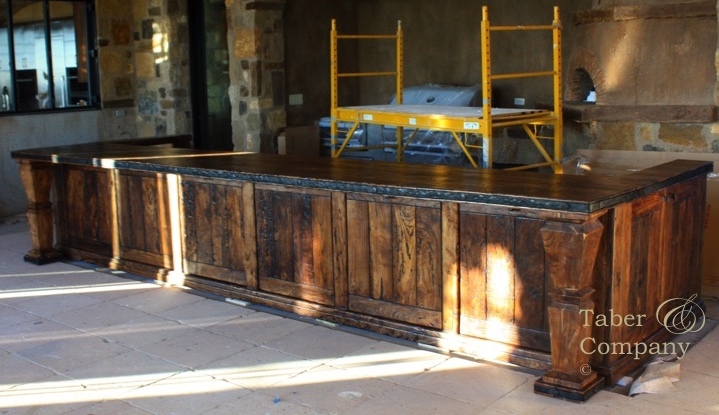 A custom built wood kitchen island was designed to resemble a Mediterranean antique. 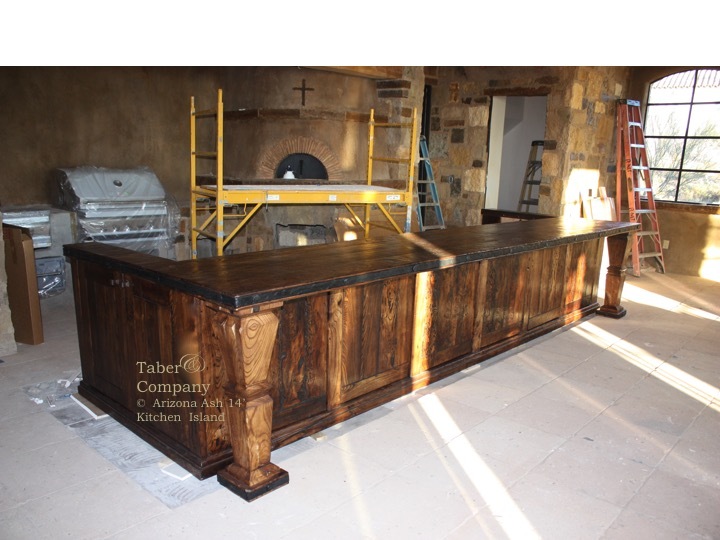 Rustic Mediterranean style kitchen island made for reclaimed ash wood.